Writer: Kim Ki Ho etc. Lee Joon-Ki is an unpopular actor. He runs the guest house Waikiki, but the guest house is facing bankruptcy. To revive the guest house, Lee Joon-Ki drags his friends Cha Woo-Sik and Kook Ki-Bong, who all graduated from the same high school, to invest in the guest house. Cha Woo-Sik is a picky person and he wants to become a singer. Due to Lee Joon-Ki, he puts all his money into Waikiki. Kook Ki-Bong used to be a promising baseball player, but he now plays in the minor leagues. Due to Lee Joon-Ki, he also puts all his money into Waikiki. Along with these 3 men, Han Soo-Yeon, Kim Jung-Eun and Cha Yoo-Ri all begin to live at Waikiki. Please reach out to any section moderator to have the thread unlocked when appropriate. 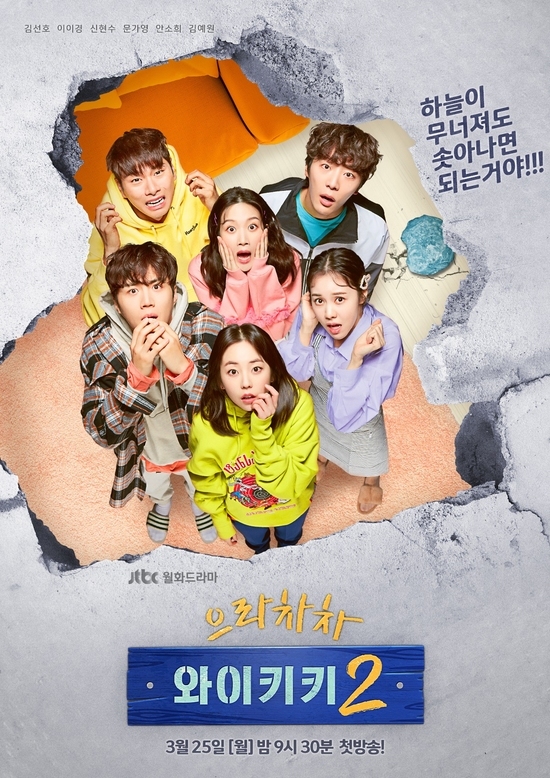 The first season of “Waikiki” aired in February 2018 and gained popularity for portraying the realistic lives of youth in a guest house called Waikiki. Kim Jung Hyun, Son Seung Won, Lee Yi Kyung, Jung In Sun, Go Won Hee, and Lee Joo Woo appeared in the first season. If Kang Han Na is confirmed, she will likely be working on the drama while being managed by a new agency. Kang Han Na and Fantagio have been in conflict since March regarding their contract. When she announced that she will sign with the entertainment agency STARDIUM on September 27, Fantagio stated that they will take legal action. How am I to watch Lee Yi Kyeong back in Waikiki after watching him in Investigation Couple and Children of Nobody? He was all right in Investigation Couple, but I can hardly recognize him in Children of Nobody - acting-wise. He has grown up a lot since the first Waikiki series. I cannot believe that it was less than an year ago. I cannot stop wondering if it is the "seonbenimdeul"'s effect. I hope Kim Ye Won's character will be different from her old ones. I feel like it's difficult for her to escape the trap of playing the same character over and over again. I'm holding my fingers crossed. But until then, I'm (im)patiently waiting for Kim Seon Ho, Lee Yi Kyeong and Shin Hyeon Soo. The famous superstar Lee Jun Ki is back, hope he still keep Rebecca the Car. Hoping the previous casts will make cameos in the second season! JTBC’s “Waikiki” is making a return with a second season! The first season of “Waikiki,” which concluded in April, followed the story of three young men who run a guest house that is on the brink of closing down. The main cast consisted of Kim Jung Hyun, Lee Yi Kyung, Song Seung Won, Jung In Sun, Go Won Hee, and Lee Joo Woo. Are you looking forward to the second season of “Waikiki”? The first season of “Waikiki” aired earlier this year and told the story of three young men running a failed guest house and a single mother whose stay disrupts their lives. The second season will feature an entirely new cast, with actress Kang Han Na confirmed to be in talks for a starring role. Kim Seon Ho last appeared in the recently-ended tvN drama “100 Days My Prince.” The second season of “Waikiki” is slated to begin organizing in the first half of 2019. On November 14, Ahn So Hee’s agency BH Entertainment said, “Ahn So Hee is positively considering appearing in season two of ‘Waikiki. '” This was also stated by JTBC. 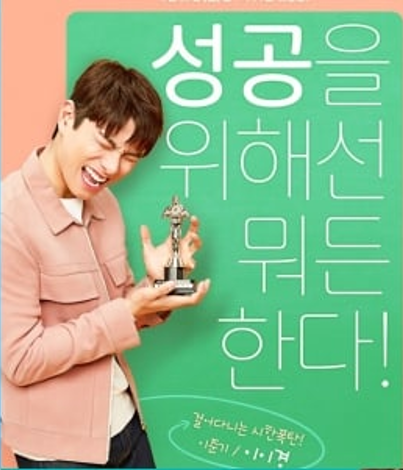 Lee Yi Kyung made a lasting impression on viewers with his funny acting, and many fans are hoping to see him again in the second season. However, the actor recently became the lead of MBC’s “Children of Nobody,” which may make it difficult for him to organize his schedule for both dramas. It was previously reported that Kim Seon Ho also received an offer for the drama and was considering it. The first season of “Waikiki” ended in April and told the story of a failing guest house. Like the original drama, the second season will be directed by director Lee Chang Min and co-written by Kim Ki Ho and Song Ji Eun. The second season of “Waikiki” is scheduled to air in the first half of 2019. The first season of “Waikiki” told the story of young adults living in Waikiki guesthouse which is about to go broke. The second season of the drama is slated to air in January 2019. Other actors such as Ahn So Hee, Lee Yi Kyung, Kim Seon Ho, Shin Hyun Soo, and Kang Han Naare also in talks for the drama. Previously, Moon Ga Young played Choi Soo Ji, the daughter of a conglomerate in MBC’s drama “Tempted.” Check out Moon Ga Young in “Tempted” on Viki below. Lee Yi Kyung will be returning for the second season of JTBC’s “Waikiki”! Lee Yi Kyung will be reprising his role from the first season of “Waikiki,” in which he starred as Lee Joon Gi, a seemingly carefree struggling actor with hidden emotional wounds. Despite being an accident-prone troublemaker, the lovable Lee Joon Gi proved impossible to hate. The role also gave Lee Yi Kyung a chance to show off both his skillful comic acting and a more serious, emotional performance as he portrayed the secret pain hidden behind Lee Joon Gi’s lighthearted smile. Ahn So Hee, Kim Seon Ho, Kang Han Na, Shin Hyun Soo, and Moon Ga Young are currently in talks to appear in the upcoming season as well. The second season of “Waikiki” is scheduled to premiere sometime in the first half of 2019. In the meantime, watch Lee Yi Kyung in his currently airing MBC drama “Children of Nobody” below! Kim Seon Ho & Kim Ye Won will play the Cha siblings. I am praying that Kim Seon Ho gets paired with Moon Ga Yeong where the romance is concerned . 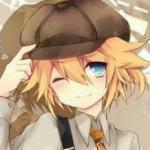 I will translate this character write up from Indonesian later. Kim Seon Ho plays Cha Woo Sik who was the first to be duped by Joon Gi into investing into Waikiki. Woo Sik is an idol but not a popular one. He decides to put all his money into the guest house and moves in. 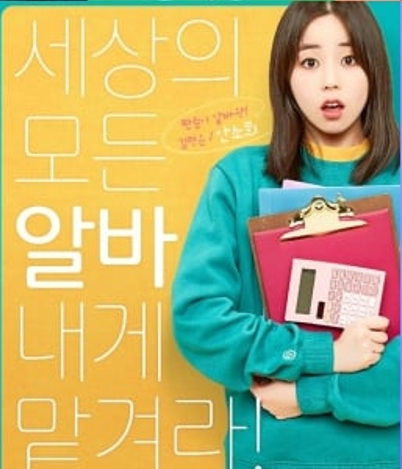 Ahn So Hee takes on the role of Kim Jung Eun , a hardworking and innocent girl. She has a friendly disposition and takes on many jobs to fulfill her dreams. 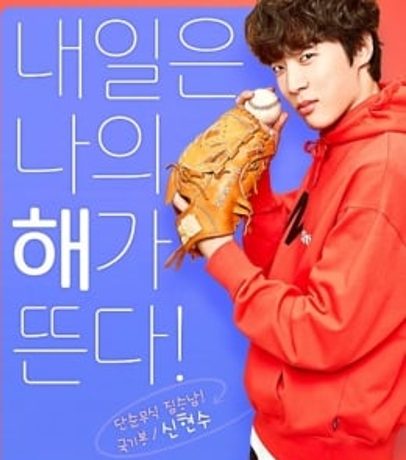 Shin Hyun Soo will play Ki Bong , a talented and promising baseball player who unfortunately ends up playing for the small league. At the lowest point of his life , he gets swayed by Joon Gi to invest into Waikiki. Kim Ye Won plays Cha Yoo Ri, the older sister to Woo Sik. 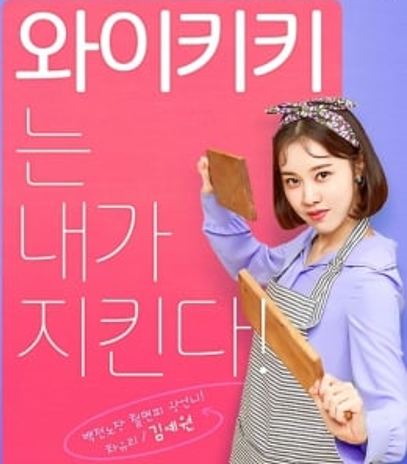 She aspires to be a chef...she is pretty much at the top of the food chain in Waikiki - the one with the power as she bosses her brother and two friends around. A new Waikiki Guesthouse? What happened to the old one? Or maybe it's the theme of the IG user idk. Gahh. Did Junki also move out to the old one and found another one and Kibong and Wooshik invest this? Oh my goodness! Finally some updates. Script reading ! Ooo does the seating arrangement hint at the loveline? @triplem I loved Waikiki S1 and now that the cast has changed, I don’t know if I should watch S2. Seems like the guesthouse is totally different too? Haha maybe I will! I’m not familiar with any of the new cast except for Moon Ga Young. I hope the show will be as funny and unexpected as the first season. As I know.. The guest house is facing bankruptcy, so maybe that's one of the reasons the new guest house is different from the previous one. I also have mixed feelings about the second season actually, but I'll give it a try since I am a fan of Kim Seon Ho. Coffee truck support for the drama sent by will ent (Shin Hyun Soo's management comp) and Seonho Hada (Kim Seonho's Korean fans club). * Even though Yikyung is an original cast from the 1st season but they made Kim Sunho as top billed. (I'm a bit OC with the order of casting xD ) and Yikyung as the 2nd listed there. * I do have also mixed feelings with this casting and I have a good faith in them that this season may be crazier than the 1st one plus Yikyung had a reason to reprise his role is because of the staffs that took part in the 1st season. a loveline between WS and SY. Woo Sik ( KSH ) & Soo Yeon ( MGY) right ? Same here ! I get good feelings for that pairing. So the question that’s playing on my mind is how they will explain Jung Ki’s love line . In season 1 - they were my favourite couple & had a happy ending . So now what will happen to Go Won Hee’s character ? The girls from the 1st season seem so close, not only between them but also with the jtbc pd. I believe go won hee or and lee joo woo potentially make a cameo on the 2nd season. As for jung in sun, I lowkey believe she won't since she and yi kyung are now ex. I think the sitting arrangement shows us hints of the pair KSH - MGY, LYK - ASH, SHS - KYW. For me, not how they'll explain the love line but more how they introduce the new guest house and the new cast. It's impossible to show du sik and dong gu, LYK plays very important role on this. Will they make an alternative timeline or something? Because the boys on the 2nd season are said graduated from the same high school. According to asianwiki, there are only 2 writers (Kim Ki-Ho and Song Ji-Eun) for the 2nd season while we had 3 writers for the 1st one (Kim Ki-Ho, Song Ji-Eun, Song Mi So). Anyone knows what happened with the other writer? WELCOME TO WAIKIKI 2 GEARS UP FOR ANOTHER COMICAL SEASON. Images via JTBC Facebook Page. Wacky hit drama Welcome To Waikiki is serving fans with another season, which will air after The Light In Your Eyes. Welcome To Waikiki was widely received for its youthful charm, enjoyable story line and characters that touched the hearts of viewers. For season 2, an even more sensational production is being prepared. 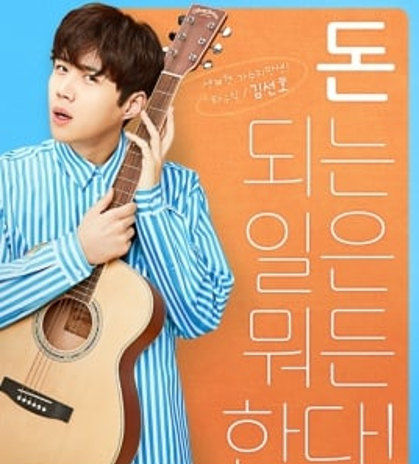 Writers Kim Ki Ho, Song Ji Eun, Song Mi, and Seo Dong Bum are teaming up with Director Lee Chang Min to ensure that the hilarity and wackiness of the hit drama will be presented. On January 21, the first script reading was held at the jTBC building in Sangam-dong, Seoul. The writers and director met with actors Lee Yi Kyung, Kim Seon Ho, Shin Hyun Soo, Moon Ka Yung, Ahn So Hee and Kim Yee Won. Seeing the energetic cast together, excitement begins to heighten for its second season. Waikiki newcomer Kim Sun Ho mentioned that he will take part in the drama happily. He promised to do well and enjoy filming. Lee Yi Kyung, who gained massive popularity last season, will reprise his role as Joon Ki. Shin Hyun Soo hoped that the pleasant atmosphere they have during filming will be felt by the viewers. Moon Ga Young attracted attention during the table read for her mischievous charm. She promised to make her character Han Soo Yeon as interesting as possible for the viewers. Ahn Soh Hee returns to the small screen after three years as Kim Jeong Un. Kim Ye Won plays Cha Yoo Ri. She hopes that the filming will be fun as the script is a fun piece. Welcome to Waikiki 2 is set to air on JTBC in March 2019. It will take over the Monday-Tuesday slot from the ongoing drama The Light In Your Eyes.